Results from the first retrospective observational study of people with type 2 diabetes treated with dapagliflozin (Forxiga) in routine primary care showed that the reductions in blood glucose and weight that were seen in the clinical trial programme are also observed in real-world practice. The results were presented at the 51st Congress of the European Association for the Study of Diabetes in Stockholm, Sweden. This is the first study looking at real-world use of a sodium-glucose cotransporter- 2 (SGLT2) inhibitor in UK primary care. 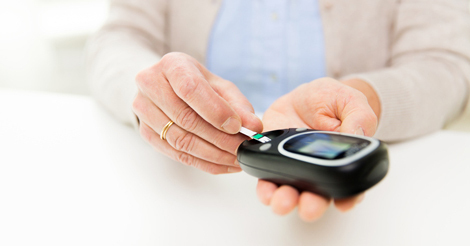 Anonymised records from 1,732 people with type 2 diabetes who had been initiated with dapagliflozin were taken from the Clinical Practice Research Datalink and included in the analysis. Patients measurements were recorded at different time points between two weeks and ≥ six months where changes in HbA1c and weight were recorded. In the overall group, the average reductions seen in HbA1c and weight ranged from -0.89 to 1.16% and -2.6 to 4.6kg, respectively, across the different time periods analysed. These results are in line with data from controlled clinical trials.